Figure 4-14. --Sample bar-coded DD Form 1387. Figure 4-15. 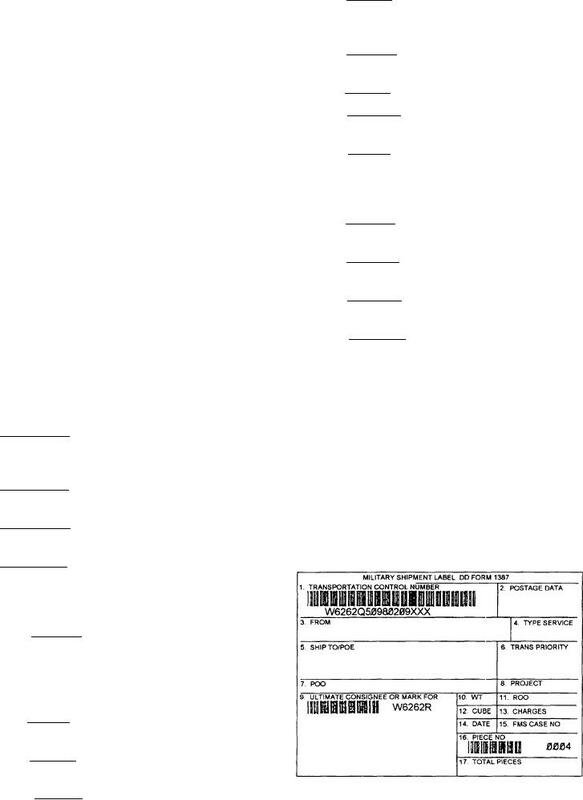 --A sample DD Form 1387-2. Data block 11 contains the required delivery date. shelf-life items. There are two types of shelf-life items. shipment, the lead TCN will be in this block. used for mail shipments only. All others will be blank. field means there is no service used. address of the consignee (including zip code).